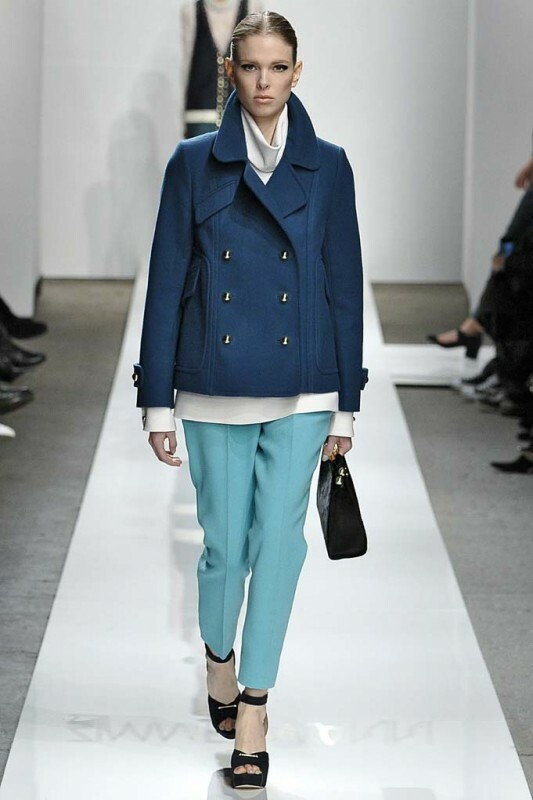 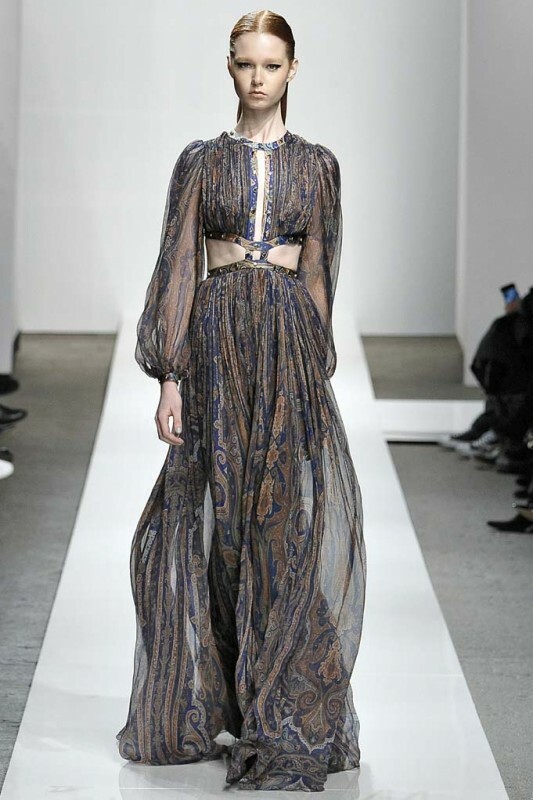 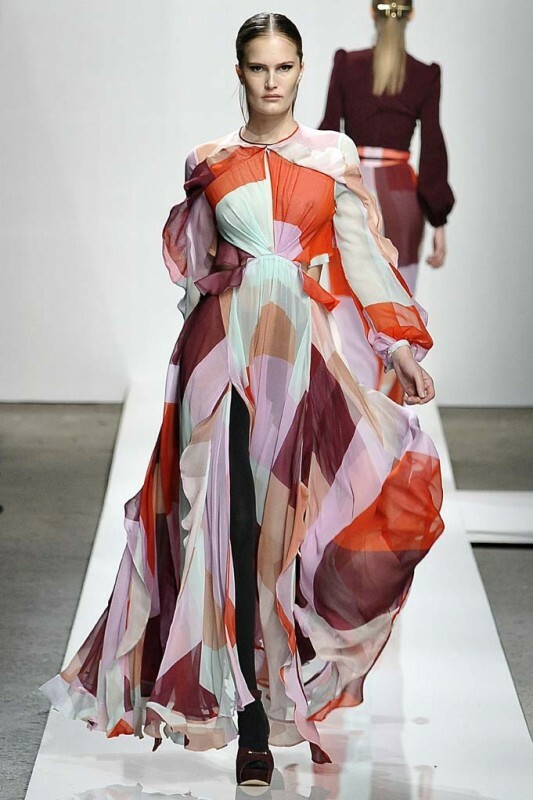 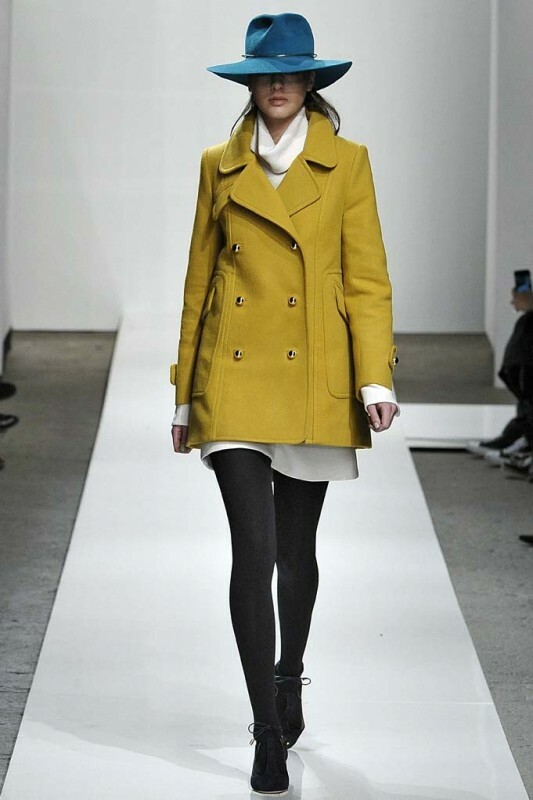 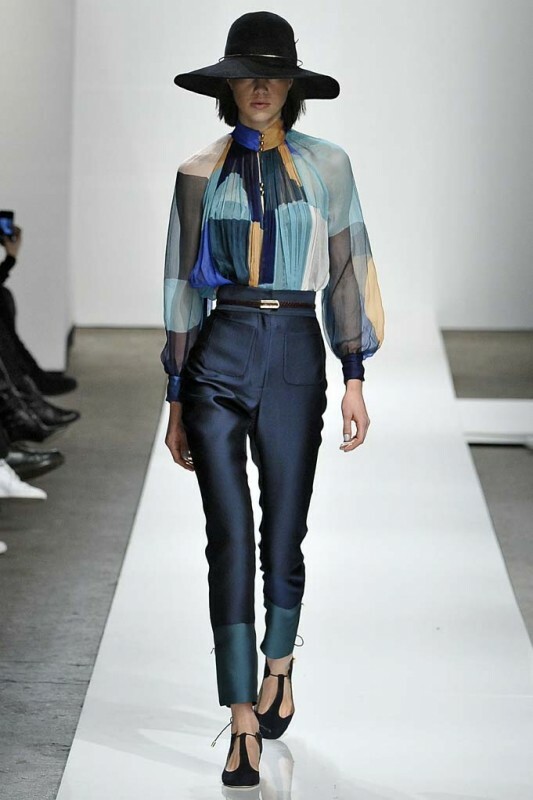 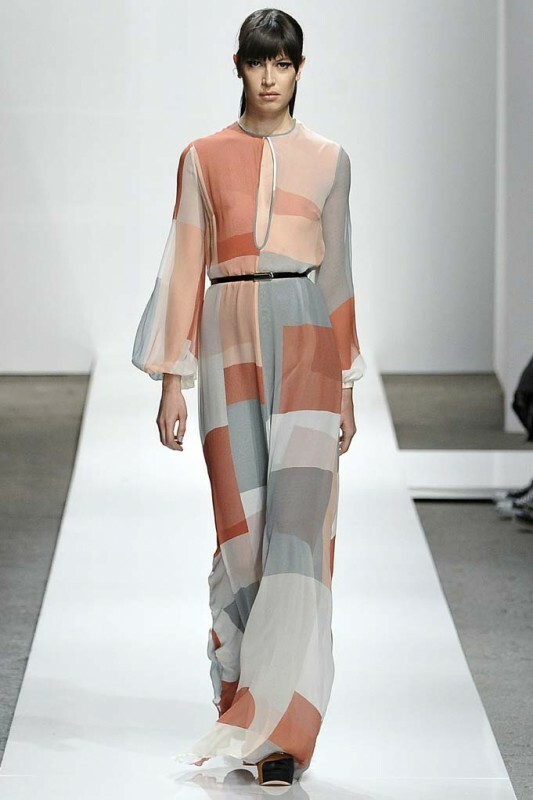 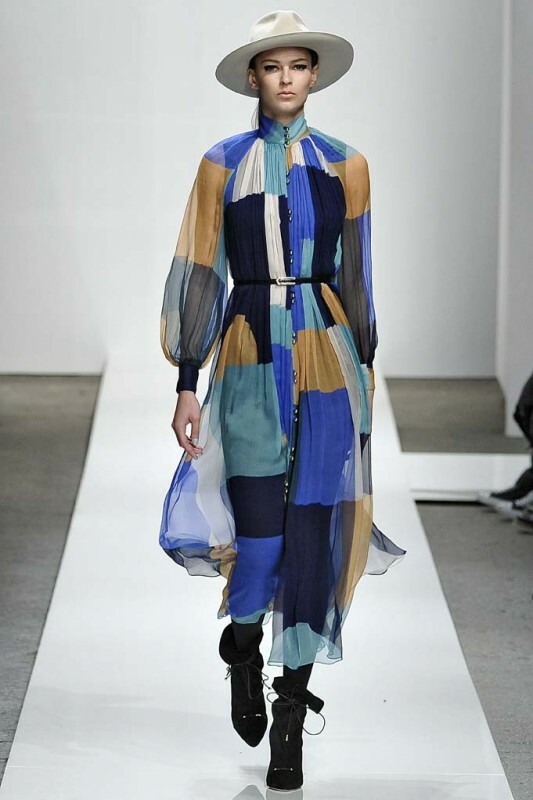 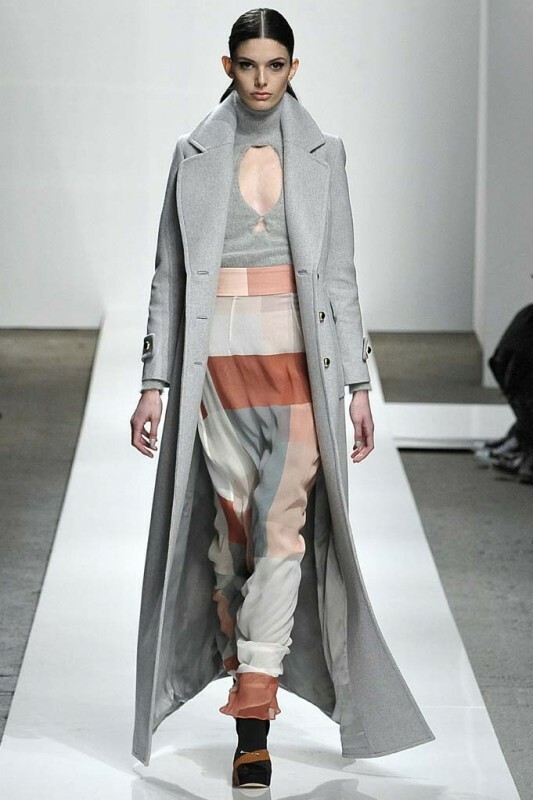 Zimmermann’s palette of rich hues certainly warmed up a very frigid second day of NYFW. 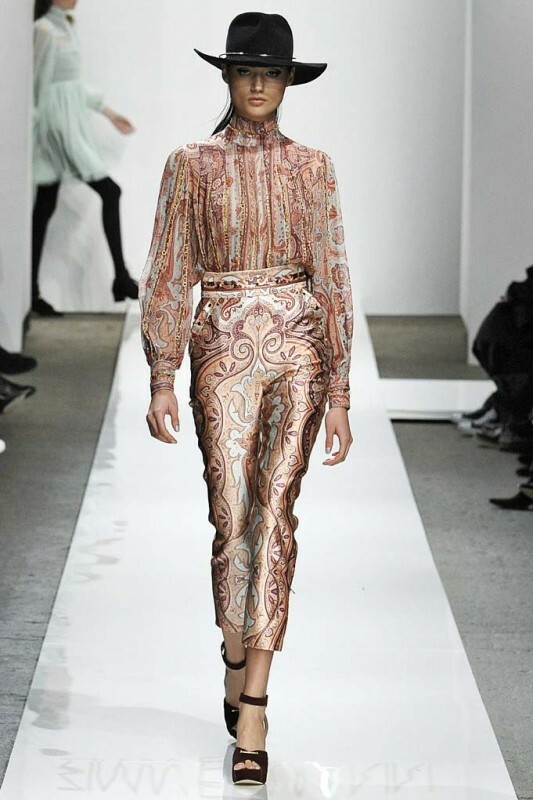 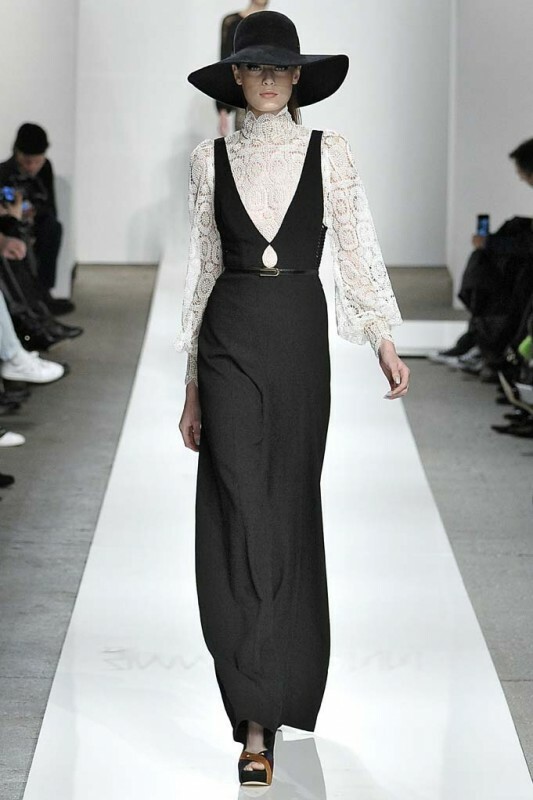 Drawing inspiration from interior designs of the ‘60s, and incorporating silhouettes that nodded at the ‘70s, designers Nicky and Simone Zimmermann showcased their fall/winter collection, which felt effortlessly cool. 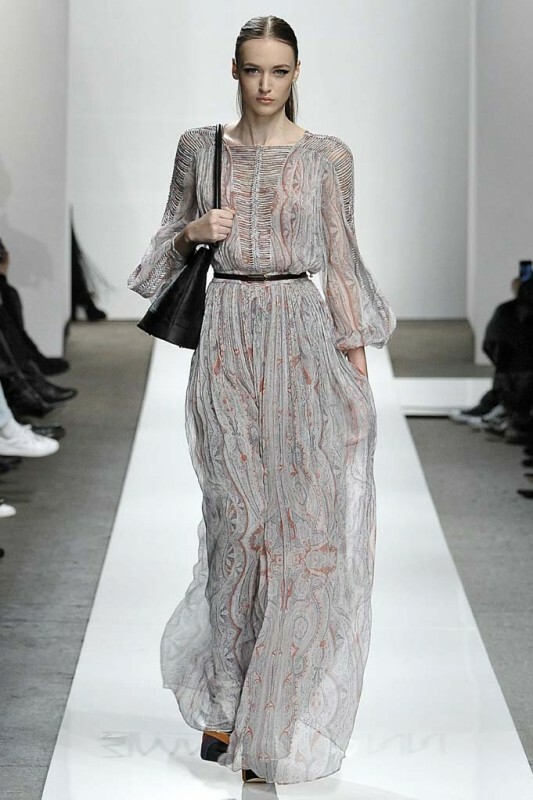 “It was really pretty crazy back here, and you have no idea what’s going on out there,” Nicky Zimmermann told us post-show. 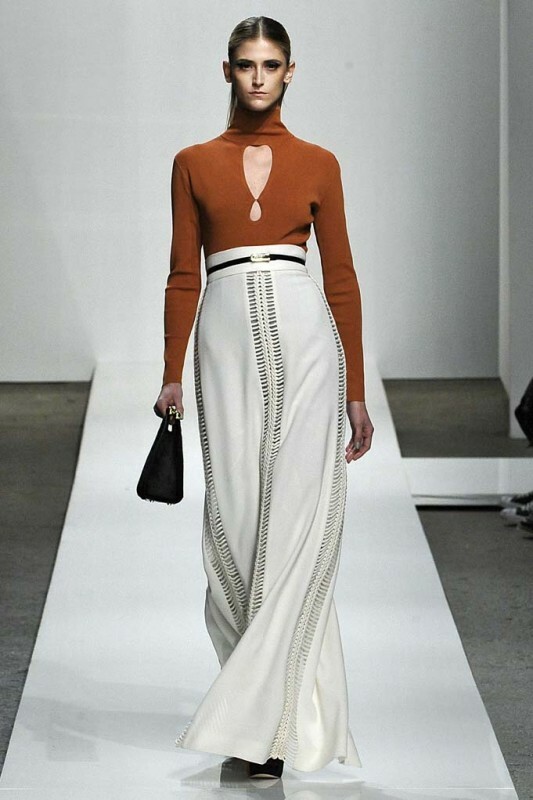 “I just remember being on my knees, tying things up.” The effort paid off! 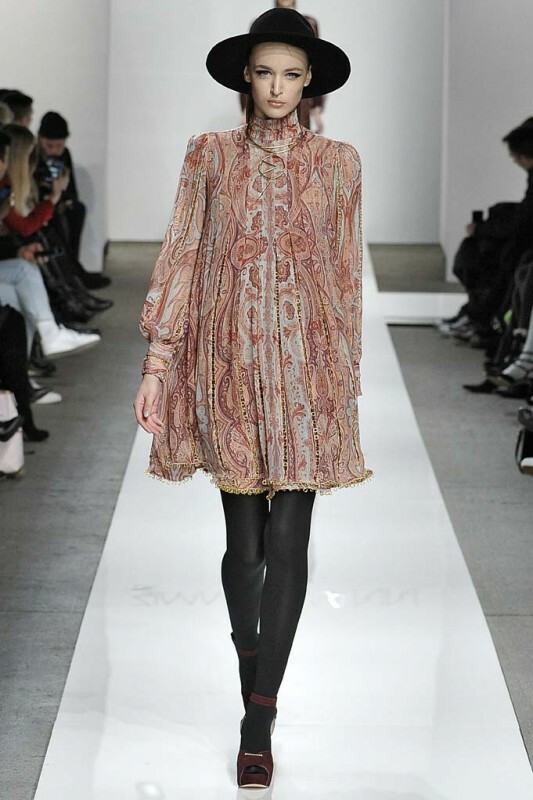 On offer this season: tailored trousers and wool coats, high-waisted bell-bottoms, lace details, and plenty of paisley printed dresses that ring in old-school-meets-bohemian vibes. 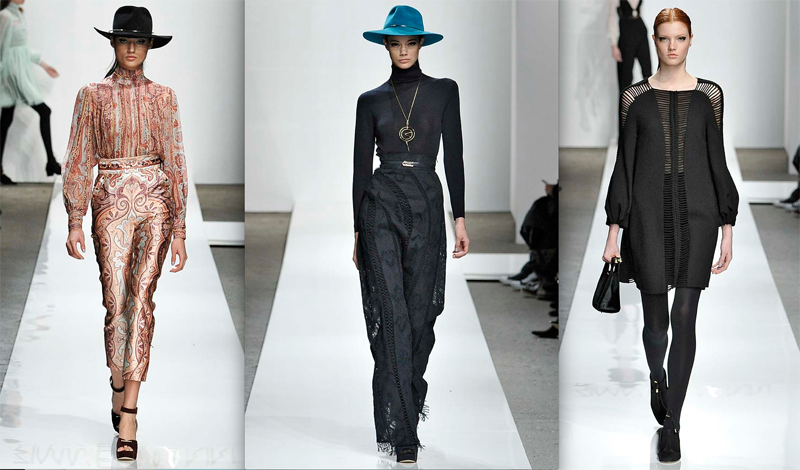 And let’s not forget those oversized hats that topped many of the looks, catching the eyes of front row folks like Jessica Szohr, Olivia Palermo, Jessica Hart, and Rachel Roy, who observed from the front row.